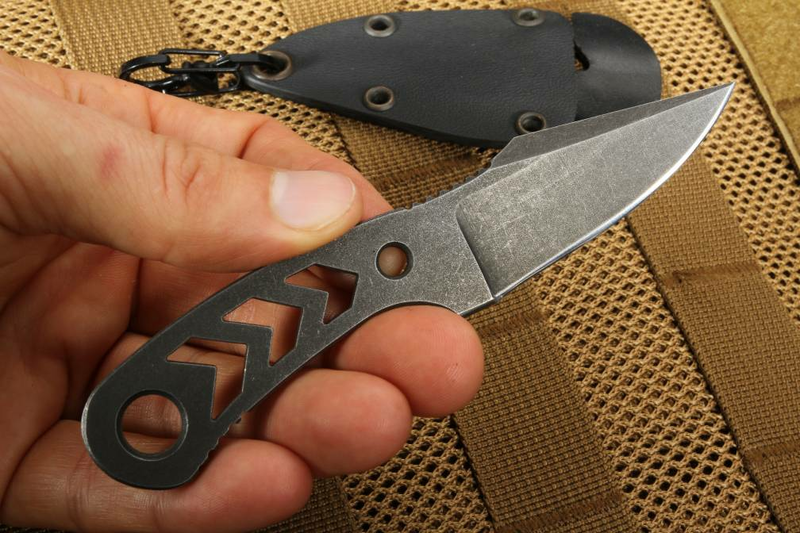 From Master Bladesmith, Jason Knight, comes the low profile, everyday carry tactical knife you didn't even know you needed...until now! The Winkler Chevron Zipper knife was created with a clean, utilitarian design in mind, downright spartan in its simplicity, but not skimping on any of the details when it comes to providing a quality blade. 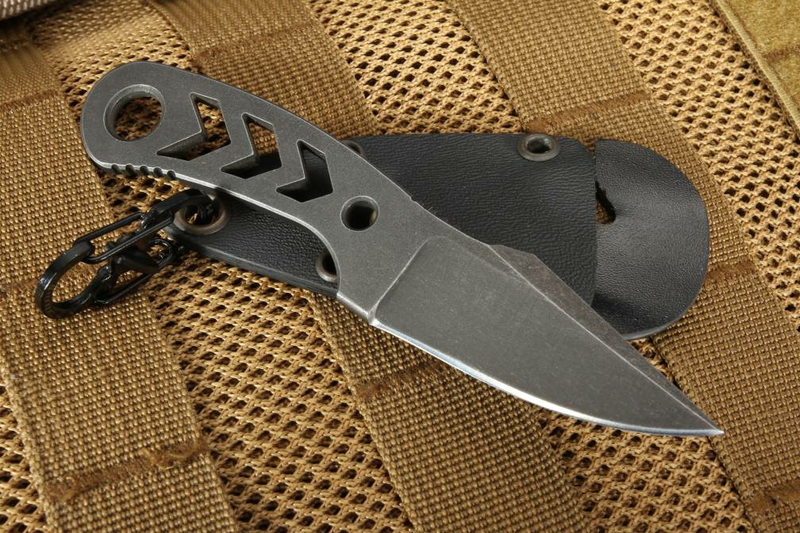 As a zipper knife, it makes the most of a flat, almost non-existent profile, combined with the tactical advantage of a fixed blade, making it not only strong in dire situations but also extremely fast and reliable when seconds count. Each knife is formed from a single piece of 80CrV2 steel, a very tough tool steel made to take all sorts of punishment and rust resistant to boot! 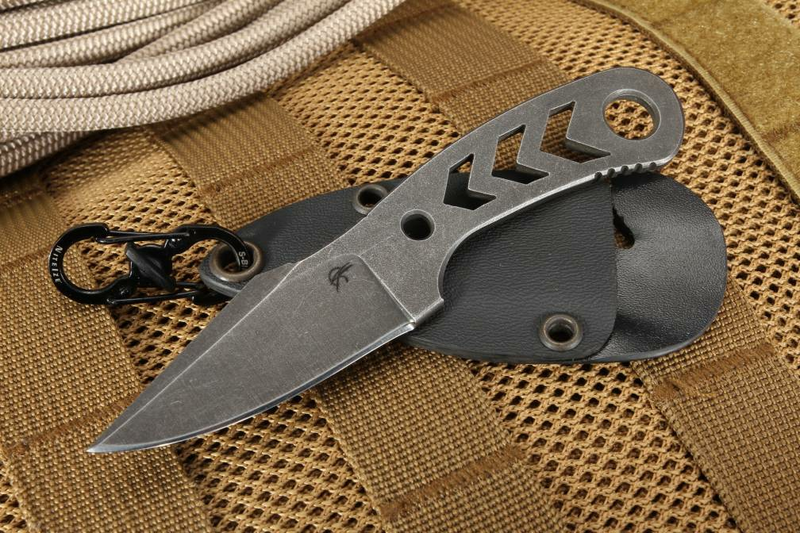 80CrV2 is an ideal knife steel, since it is not only tough but hard, thus ensuring a strong yet flexible blade that will hold an edge, as well as withstand just about any grueling punishment the world can dish out. The overall length of the Winkler Chevron Zipper Knife is 4.875", with a Caswell/Tumbled finish that provides extra protection against corrosion. The 2.125" blade is a single-edged, drop-point design that is ground razor sharp. What really sets the Winkler Chevron Zipper Knife apart is its skeletonized handle with a wide lanyard hole for performance as well as paracord carry options and applications in mind. The jimping on the finger side of the handle provides a sure grip for either pinky or forefinger depending on the grip used at the time. The pattern reduces weight while at the same time creating more surface area for a more secure hold when in use. 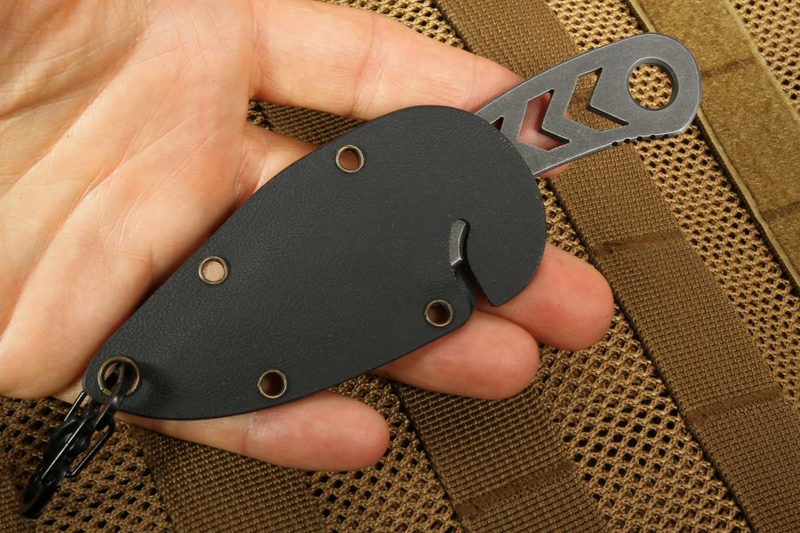 The Kydex sheath gives you the option to conceal carry or keep tethered to your tactical webbing harness, backpack, zipper or even a belt loop with the Nite Ize S-Biner micro carabiner. Winkler knives are made in the USA and guaranteed for life. As an authorized dealer, Knifeart.com provides fast, free shipping and in the unlikely event you don't love your purchase, send it back. We never charge a restocking fee. Blades are curated for quality assurance and PayPal is accepted!